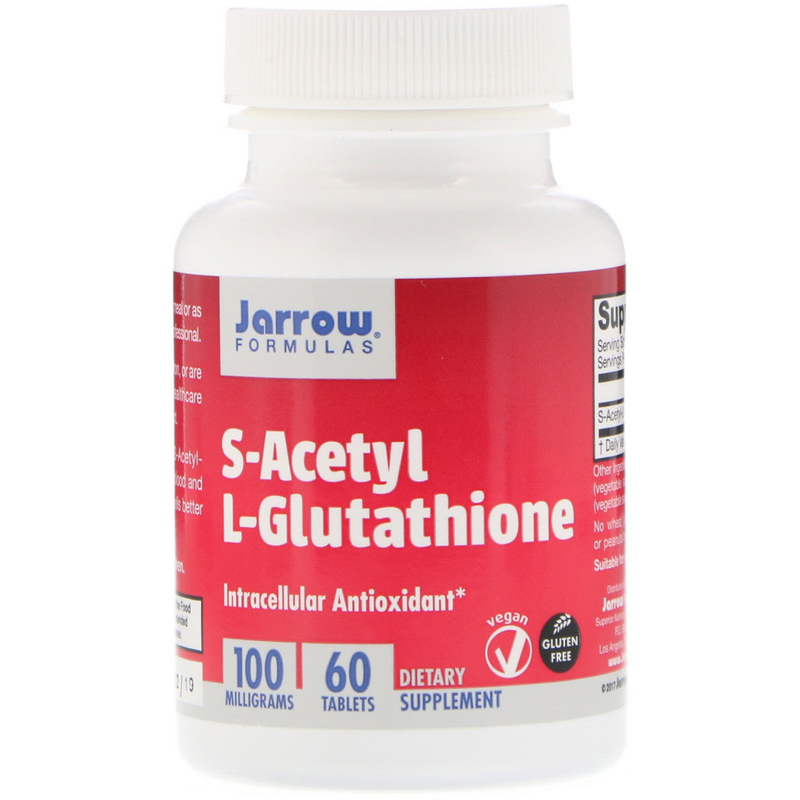 Preclinical research suggests S-Acetyl L-Glutathione is more stable in the blood and increases glutathione levels within cells better than non-acetylated glutathione. 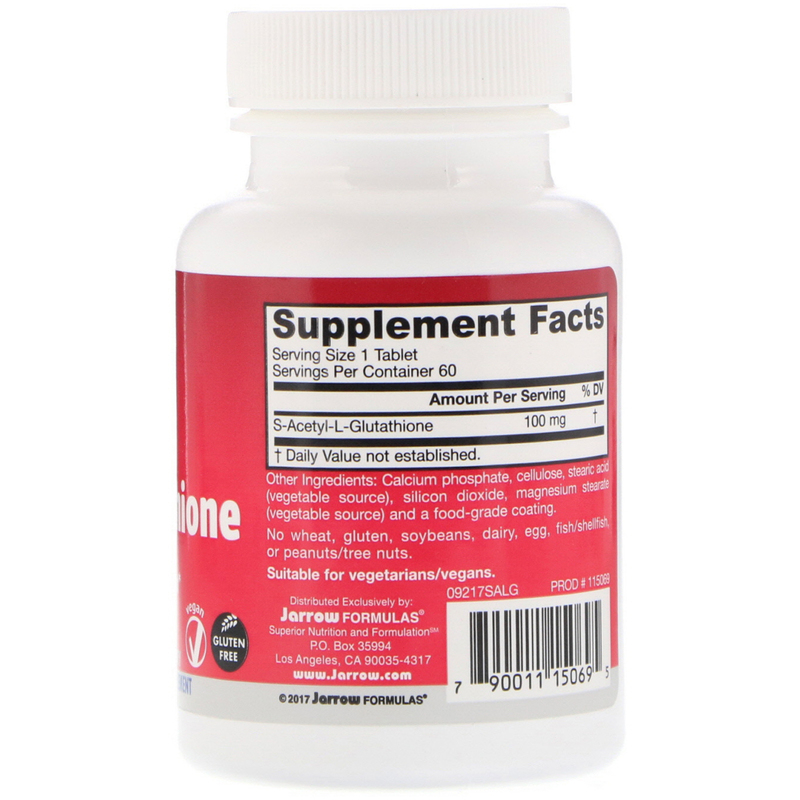 Take 1 tablet per day with a meal or as directed by your qualified healthcare professional. Calcium phosphate, cellulose, stearic acid (vegetable source), silicon dioxide, magnesium stearate (vegetable source), and a food-grade coating. No wheat, no gluten, no soybeans, no dairy, no egg, no fish/shellfish, no peanuts/tree-nuts.